Manchester cloud computing company Outsourcery is to float on the Alternative Investment Market (AIM) on Friday with a market value of £34.6m. Co-founded by Lancashire-born Dragons' Den star Piers Linney, the company will be the biggest to go public so far this year. The placing with institutional and other investors has raised about £13m before expenses at 110p a share, which the company said would be used to fund the group to "cash flow break-even". Outsourcery, which was founded by Linney and Simon Newton after a buy-out of mobile phone reseller Genesis Communications in 2007, provides a range of cloud-based IT and communications services. Clients include Vodafone, Virgin Media Business and BT. The company has a turnover of around £10 million and 120 staff. 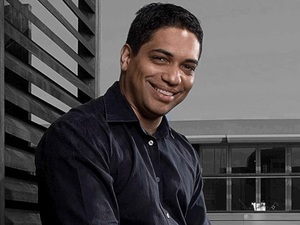 Co-chief executive Linney said: “We have invested in and developed a world-leading and enterprise-grade platform for growth which was recognised earlier this week when Outsourcery was selected as one of three finalists for Microsoft’s worldwide Server Platform Partner of the Year 2013 award. “We aim to exploit the opportunities we are seeing at this exciting time in our development and see this fundraising as a great endorsement of our business model, technology platform and growth prospects. According to a statement filed with the London Stock Exchange today, Linney and Newton each own 25.7% of the company, while ETIVE Capital has 17.5% and Investec Investments (UK) 4.2%.